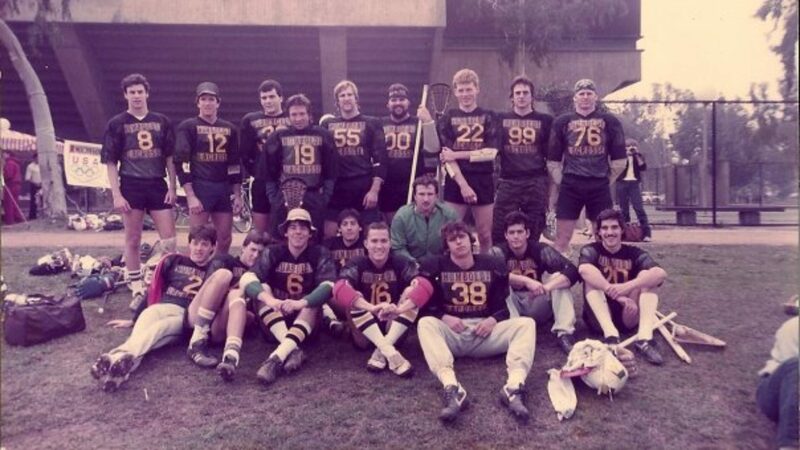 HSU head coach Tony Silvaggio (black shorts) plays for the Zürich Lions during 11th annual Austrian Open. 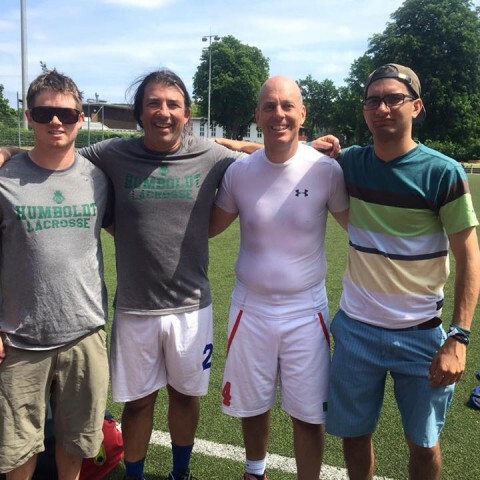 It was Hogs international this summer when a pair HSU players joined head coach Tony Silvaggio on his annual lacrosse pilgrimage to the Old World. First stop for Hog attackman Danny Balok and LSM Frank Mele was Rome, where Silvaggio — who claims to be Italian — was waiting for them. 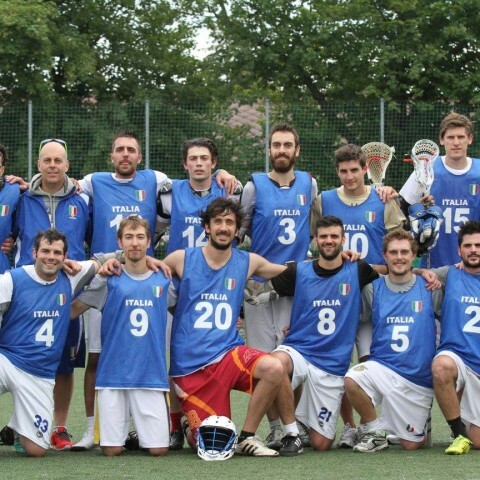 But before the weary travelers could unpack, the trio flew to Germany to play for Italian lacrosse team Phoenix Perugia at the Berlin Open 2015. 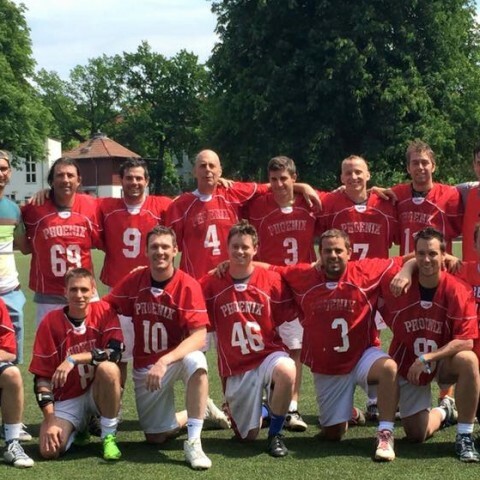 From June 5-7, Phoenix Perugia and 13 other lacrosse clubs from Berlin, Germany, Norway, Latvia, Czechoslovakia, the Netherlands, Poland, Hong Kong and the US competed at Stadion Lichterfelde in Berlin. Teams were broken into two groups and played six 50-minute games. The top two teams from each group advanced to the semi-finals. Games took place on five fields and nearly 1,000 German bratwurst were eaten during the three-day tournament. Phoenix Perugia went 4-2 in its group and — not surprisingly for a team with an HSU accounting major on it — scored a group-high 53 goals. Unfortunately, Phoenix also surrendered a group-high 47 goals and missed the semis by goal differential to a team they had beaten head-to-head. 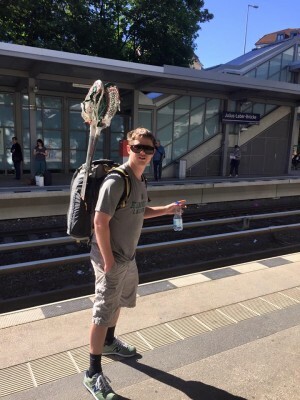 “Is it this way?” Dan Balok repping HSU at Julius-Leber-Brücke station in Berlin. Balok called the overall talent level “mixed,” but was very impressed with some squads. 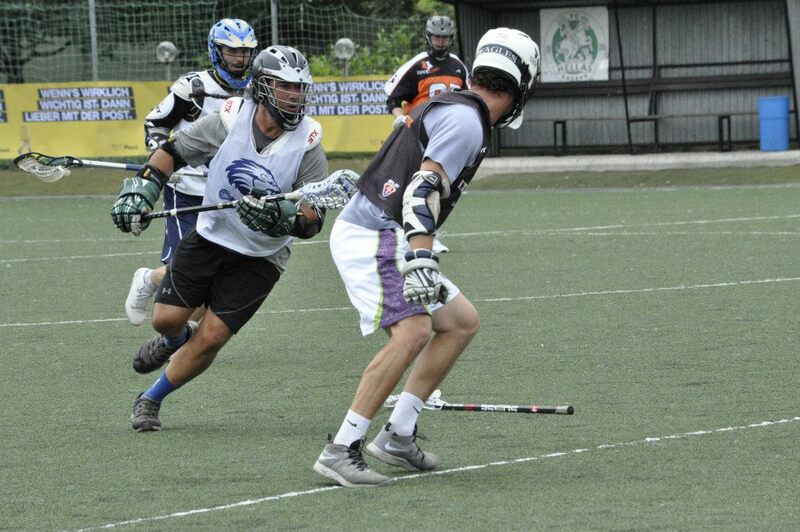 The finals featured the Czech lacrosse club Jižní Město versus Team Latvia. A British streaker broke the tension in the fourth quarter by running naked onto the field and doing flips. Jižní Město won, 10-8, going undefeated in the tournament. Phoenix Perugia placed sixth overall. After the tournament, the trio flew back to Rome and spent several days in the ancient city. They eventually made their way by train south to the coastal town of Sperlonga. 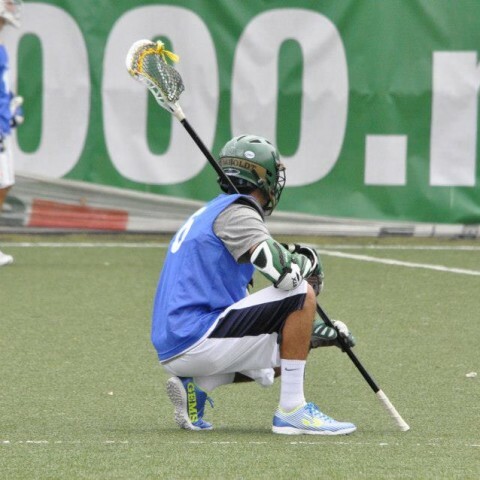 And after returning to Rome, Balok flew back home while Mele and Silvaggio left for Vienna to play more lacrosse. Mele had hurt his ankle earlier in Berlin but finally got some real playing time with the Italian development team at the 11th annual Austrian Open, which took place June 19-21. Italy placed sixth out of seven. 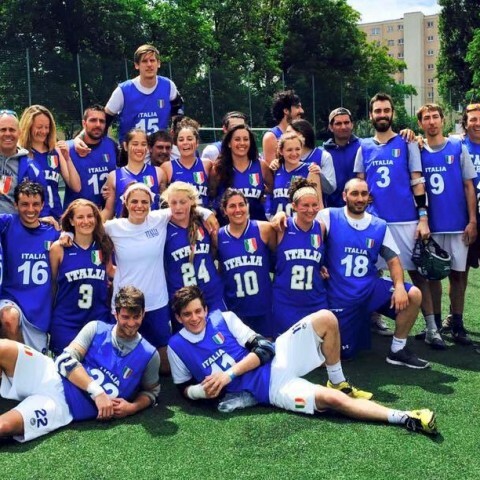 Frank Mele dresses for Italy lacrosse during Austrian Open. 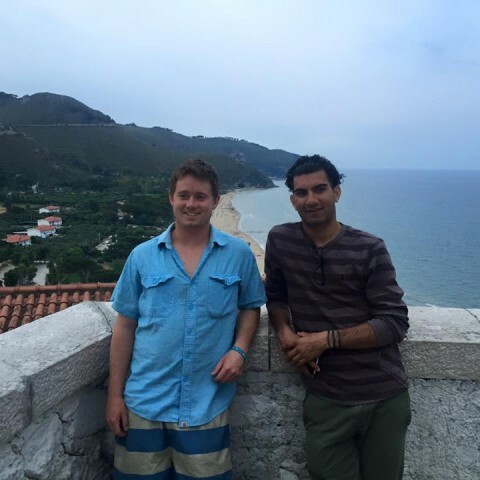 Dan and Frank in Sperlonga, Italy.